The inevitable “Keep or toss?” pile. The infamous parting of you and what used to be your most prized collectibles and keepsakes can be overwhelming. It’s an intimidating process — especially when you’re moving — but making the most of your space is a critical element to staying organized and not having to swim through a storage room full of junk you haven’t seen in five years. You’ll save money in moving costs, too. Despite the skyrocketing stress level you might experience as you’re saying goodbye to your things, the feeling of relief that follows is worth the new start. 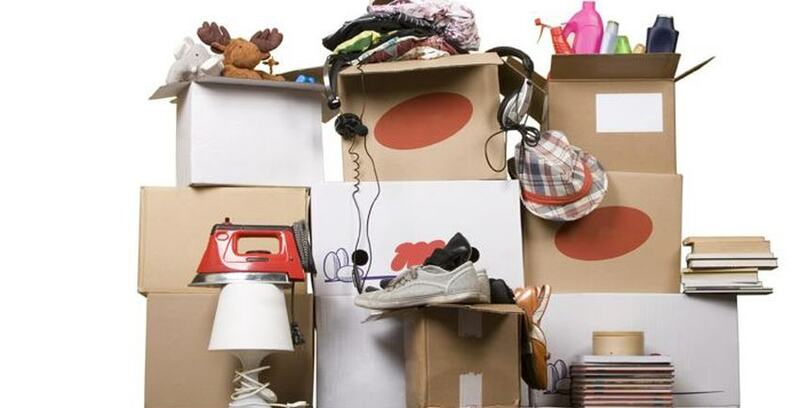 Check out these 5 questions to ask yourself as you decide what to keep or toss. 1. Have I used this in the past year or two? If the answer is, ‘No,’ then you can stop playing the “What If?” game in your head. If you really haven’t used an item in two years, you’re probably not going to need it in the foreseeable future. 2. Does it have meaning to me? Yes, it’s okay to keep your first sports trophy or old class photo if there’s a strong meaning behind it. It’s not necessary to get rid of everything, but if you’re holding on to an item that has little meaning or use, maybe it’ll get more use out of being donated or simply tossed. Ask yourself how your life would be altered if you got rid of it. 3. Is it outdated or easily replaceable? As you’re going through your home or packing up your things for a move, you’ll come across items you’ve had for years. Old clothing, towels and utensils don’t last forever. Consider treating yourself to a small shopping spree for the essentials if it’s time for replacement. 4. Do I have room for it? Keeping an old chair or box full of papers takes up precious space — space you could be using for something else. Think of all the things that you can put in that space instead. If it’s going to be stressful to keep or move, maybe it’s best to consider tossing or donating. 5. Why do I have this? This one is a no-brainer. If you have to wonder why you have something or why you’ve kept it this long, throw it in the trash or donation pile before you have time to second-guess yourself. Storage Direct’s nationwide facilities have the space you need to store those items you want to keep around. We offer well-maintained, secure facilities and the finest customer service. Give us a call today to learn more about long- or short-term storage options.